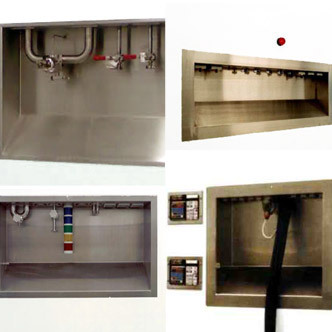 MSS offer a wide range of fixtures and fittings, complete with system integration, inc. pass-thru hatches. 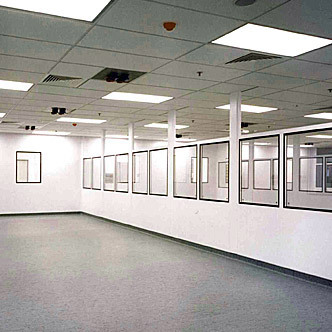 MSS provide various cleanroom glazing options including full height twin-glazed units. 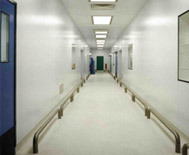 The MSS Walk-On Ceiling is flush on the cleanroom side while allowing maintenance access from above. 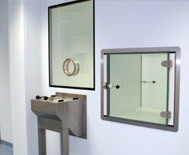 MSS offer a wide range of fixtures and fittings, complete with system integration, including a stainless steel bumper rail. 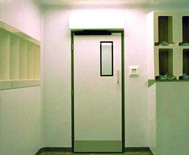 We provide the complete turnkey package including electrical design and installation. 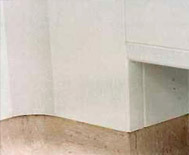 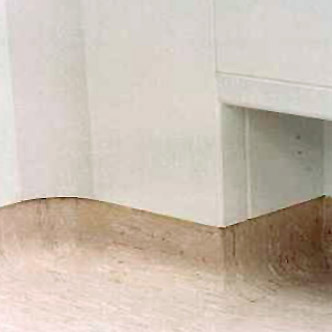 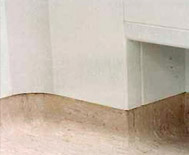 MSS offer, as part of the Concept cleanroom system, a 70mm flush coving detail, eliminating 90° corners. 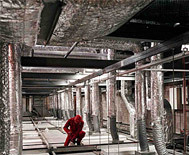 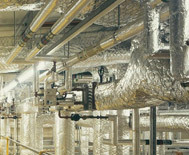 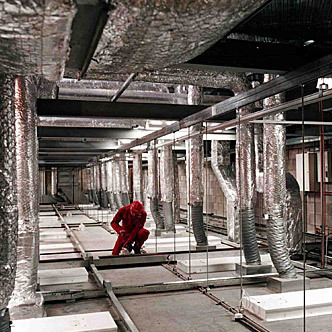 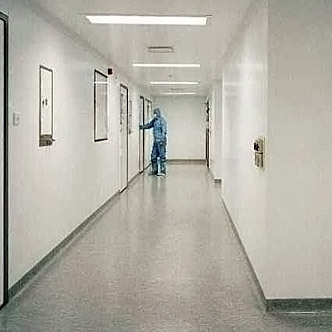 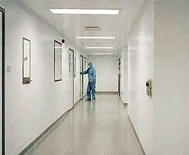 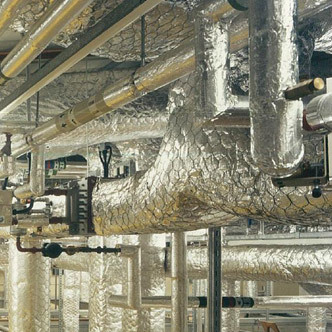 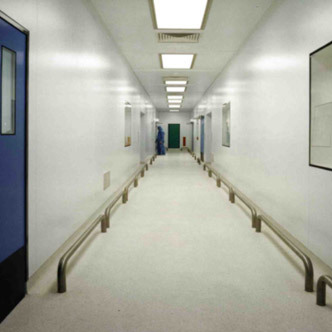 MSS can integrate a variety of cleanroom floor systems while providing a selection of wall to floor details. 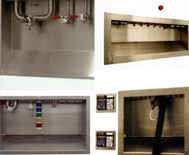 We provide the complete turnkey package including mechanical design and installation. 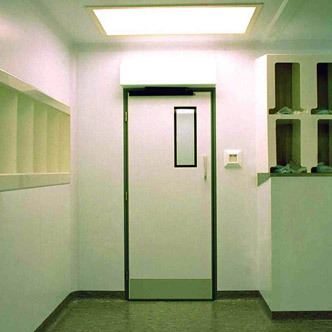 MSS offer door options to suit any specification, including fully glazed, fire rated, sliding, and GRP. 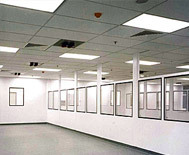 The MSS PVC-faced 50mm smooth, white wall panel system can be configured to accomodate any cleanroom size. 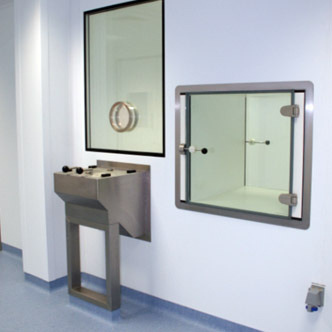 MSS offer a wide range of fixtures and fittings, complete with impact protection systems, including a stainless steel bumper rail.